Specializing in body armor and bulletproof vest, IWEAPONS® provides civilians with the latest in personal defense equipment. The Israeli Weapons IWEAPONS® brand is currently pushing to enter into new markets and grow their customer base. By offering a range of items that cater to differing tastes and needs, their brand appeals to a wide variety of people. The products are available in multiple places online and in selected local locations. Demand for military and civilian defense equipment, in particular body armor, has been on the rise in recent years. IWEAPONS® seeks to fulfil this demand with its range of high quality bulletproof vests, helmets, armor plates, and various other civilian defense items. The customer is always a priority, and a range of options are afforded to buyers that are seldom seen elsewhere. The option to customize certain items, and the ability to package together items for complete protection, make the brand a budding powerhouse in the civilian defense industry. The main focus of the brand is the bulletproof equipment. The materials used in the manufacturing of the products is of the utmost quality, and IWEAPONS® branded products come with exceptional ratings. Basic bulletproof vests under the IWEAPONS® name don’t come in the low-grade status. The level of protection for the type of purpose decides what type of variant any given model will be. IWEAPONS® anti-atab vests come infused with stab-proof technology, which make the vests fully close-quarter ready. The Cheap Bulletproof Vests range dispels the notion of low-price being synonymous with low-quality, as they come complete with IIIA ratings. For a more advanced level of protection, whilst still retaining the fully citizen level status, the Civilian Bulletproof Vest is a well poised option. Bulletproof clothing is also on offer, and allows for a more concealed approach to protection to be made. High-grade bulletproof vests are also available for those customers wanting a little more than the standard protection level. Bulletproof helmets provide protection for perhaps one of the most vital parts of the human anatomy. Without a soundly made helmet, a body armor scheme will be ultimately flawed. This is why IWEAPONS® manufactures the highest quality bulletproof helmets possible. Some of the helmets on offer are made solely for civilian use, and others are made for more dangerous circumstances. Whatever the purpose, the bulletproof helmets come with IIIA level ratings. The varieties come in 3 distinct types: the basic IDF model, the combat helmet, and the steel helmets. After the standard bulletproof equipment, the ballistics offered under the IWEAPONS® are next as an iconic type of protection. From ballistic vests to ballistic helmets, there isn’t a shortage of variety, and the bar that’s set in terms of quality is hard to beat. IWEAPONS® products regularly receive high ratings, and IIIA level ratings are commonplace. Ballistic vests protect wearers from enhanced damage. They repel extensive blunt force, and are specifically designed to deal with abnormal impacts from shrapnel to explosive blasts. The varieties that are labeled with the IWEAPONS® brand are made with the customer’s unique circumstances in mind. Bulletproof vests feature both level IIIA variants, and option for armor plates of III and IV rating. Ballistic armor plates provide an added layer of protection to the armor plate range. 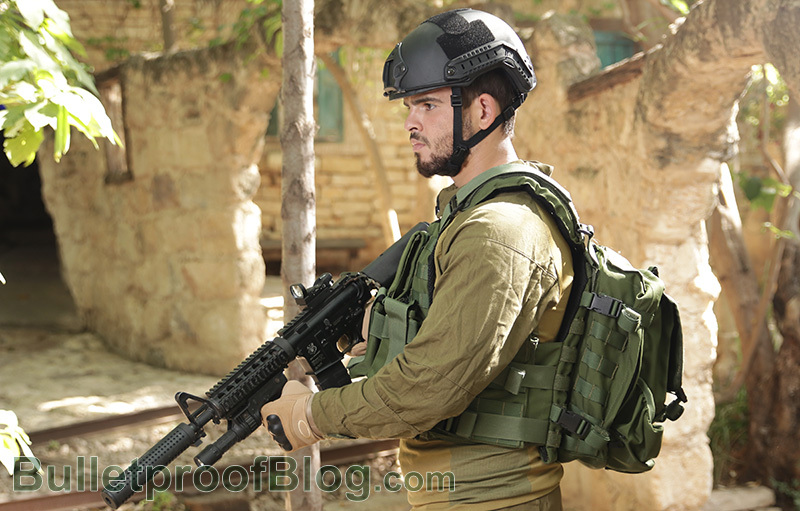 The Hashmonai is the flagship model in the ballistic plate category. It is especially designed by its creators to withstand extensive force, and brave intense impacts for the wearers. The protection the ballistic plates provide is of a level III and IV ratings; which comes with both the front and back plates. IWEAPONS® also provides ballistic helmets for the customers seeking a specific type of protective armor for a specific kind of environment. The standard ballistic helmet still comes with a high IIIA level rating, and for a basic model, the quality is exceptional. A visor range is also available, for a more covered protection. This in conjunction with the Ballistic Neck Protector, can provide full protection above the neck for wearers. Some military grade models are also available that provide more than enough protection for civilian purposes. Both ceramic and polyethylene plates are available, and both types hold a degree of variety within their individual classes. It is up to buyers to decide whether or not one type is better for them than another, and IWEAPONS® encourages customers to weigh up their options. They don’t hide the fact that one type may not adequately fulfil the needs of a buyer, or may fulfil their needs with an abundance of excess. Both ceramic and polyethylene armor plates serve their purpose well, but it’s up to the buyers to asses which type best serves the purpose they require. A variety of strengths and forms are on offer by IWEAPONS®, which follows the general trend they have set with regards to variation and diversity. The ceramic armor plates come in Type III and Type IV, with a range of sizes and fits also available. The polyethylene plates come in Type III and a lighter weight, upgraded version of the Type III that is labelled as a Type III+. Front and back plates are available across the board, and side armor plates are also available.